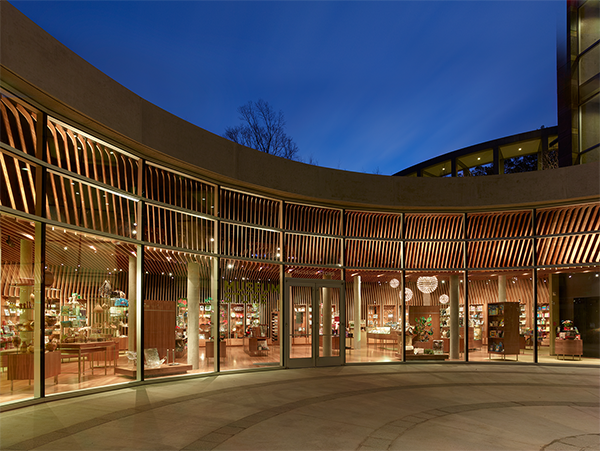 The museum store is a curved concrete space with storefront for the western wall and numerous concrete columns that support a green roof above. 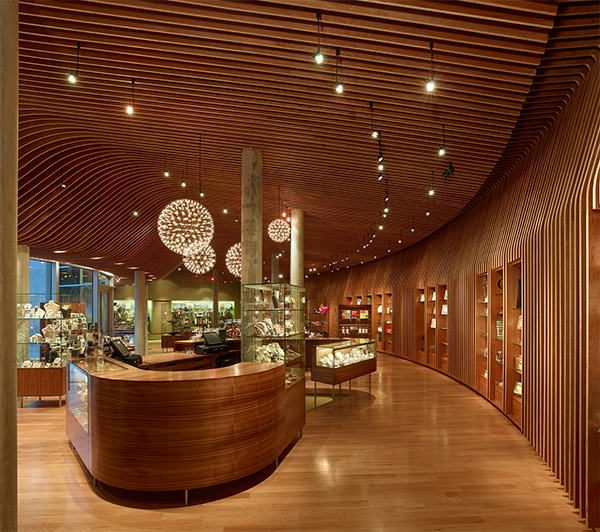 Organizing the space is a series of parallel cherry plywood ribs, forming the ceiling and millwork on the rear wall. Likened to the ribbed underside of a mushroom known as a lamella, the surface undulates to create an elegant sectional profile while also serving a practical function, providing shade from the intense western sun. The porosity and regularity of the lamella system provide an inherent flexibility for heating and cooling systems, lighting and hanging merchandise. Fabric covered display walls terminate the north and south ends of the space with a color and texture to compliment the warm wood floor and lamella surfaces. The form and structure of the lamella resonates with the shapes and geometry of the Crystal Bridges Museum. Here the geometry of the plan is transformed into a three dimensional spatial proposition imbued with local materials and craftsmanship that expresses a kinship with the unique sensibility found in American Art. 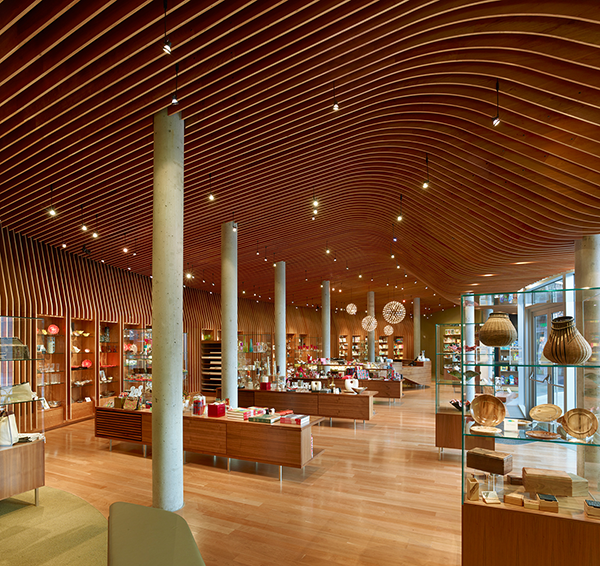 Although a retail space, the Museum Store has a sensual and tactile quality that reveals our exploration of materials and their evocative qualities. From the hardwood floors to fine veneer plywoods, the fine properties of each wood are displayed, each chosen specifically for its grain and texture and local availability.